Hi y'all. Just trying out a post from my iPhone. I wanted to hate this photo from a few weeks back when I made a delicious mulled cider with a shot of bourbon. The key is simmering your apple cider with a whole spice/ herb blend. I used two cinnamon sticks a couple of star anise, few sprigs of thyme and two orange peels (be sure not to include the white pith, which adds bitterness). 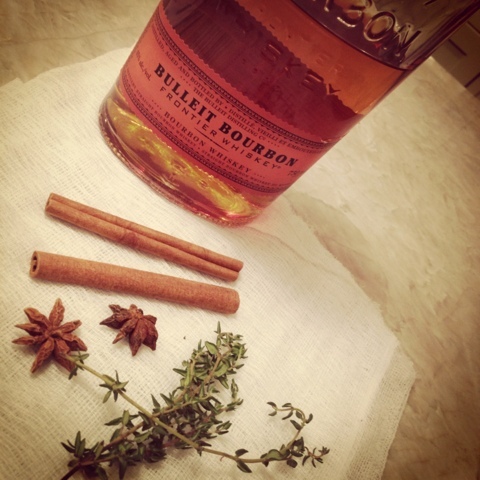 Use a shot of your favorite bourbon and 4-6 oz of hot cider. If your thinly slice a whole apple it makes a beautiful garnish! Serve this warm cocktail for the holidays or on a cool October night perfect for a hurricane or Halloween. Have a safe and week everyone. Good luck bearing the cold rainy weather. Chow for now. Today is the day. 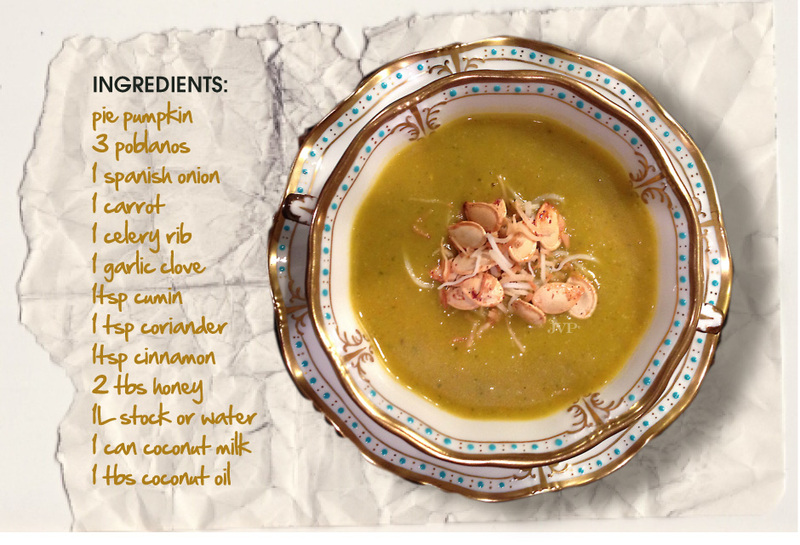 A cold rainy mess here in Toronto definitely a day for a delicious pumpkin soup. This soup is the bomb as they say and was certainly one of the stars at our Thanksgiving dinner. I hope you love it as much as my family did. For an extra touch toast the pumpkin seeds up with a dash of cinnamon, cumin and sugar. You can also toast up some shredded coconut in a pan on medium high, just be sure to use a non stick pan, agitate it constantly and remove as soon as you achieve the perfect golden brown colour. PREP: Rough chop pumpkin and roast (on a parchment lined baking sheet) at 350º with a drizzle of honey, coconut oil, salt and pepper for 30 -45 mins. At the same time roast off the poblano peppers until the skin is charred on all sides. Place the peppers in a bowl and cover with plastic wrap. The steam will loosen the skin and make it very easy to remove. Rough chop all of the other ingredients. 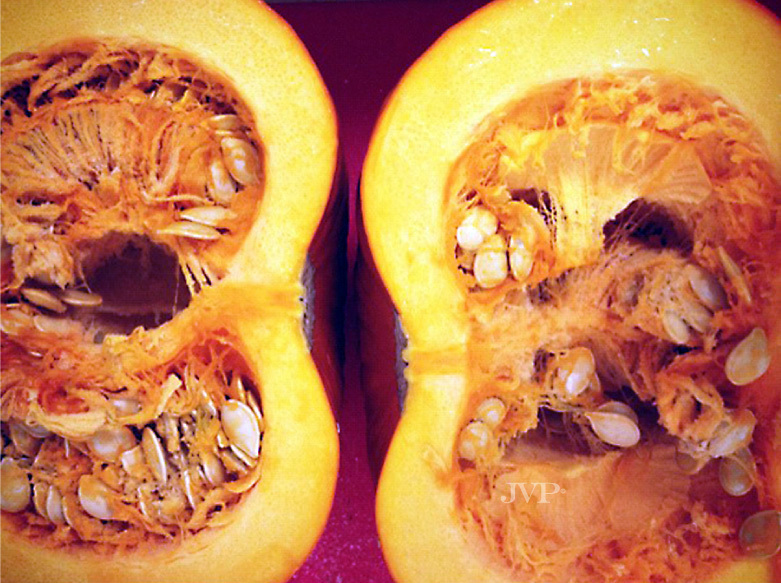 When the roasted peppers have cooled remove skin and seeds. COOK: Sautée onions, garlic, carrot & celery in coconut oil until tender. Add spices, roasted pumpkin & poblanos, stock or water and allow everything to simmer for 10 minutes or so, then add coconut milk and puree soup with hand blender until smooth. Taste to check seasoning/ sweetness. Hi all. Sorry I haven't posted the recipe for Roasted pumpkin and Poblano soup yet. It seems that between getting over my "cold" and the weekend I've actually ended up with another cold. At least this one has all the usual "cold" symptoms. This week has been cray with a bunch of events, out of town guests and one of my best friends weddings. I'll post the recipe as soon as I can. Hello everyone! Sorry I haven't posted in days but I've been pretty under the weather and uninspired over the past two weeks. Maybe not uninspired but way too tired and run down to sit at the computer to do anything productive what-so-ever. I tell ya, this cold which doesn't even have the right to be called a cold since it lacks all basic cold principals such as a sneezing, sniffling and any sort of nasal issue. This "cold" is the type of cold that probably would have wiped out half the population 200 years ago. Needless to say it has taken it's toll on me. I feel slightly like I did in third year university when I had mono for five months - bad times to say the least. My throat had been crazy sore, I have a hacking old lady smokers cough, the headache of a coffee addict first thing in the morning before they've had their first cup and just overall feelings of nausea, exhaustion and overall crap. I had a nice sleep last night for the first time in days thanks to the fact that I had the fore sight to drug myself with advil cold and sinus an hour before bedtime yesterday. I'm almost feeling human today and will actually attempt a workout, which I need desperately since I've been feasting on not one but two days of Thanksgiving heaven. 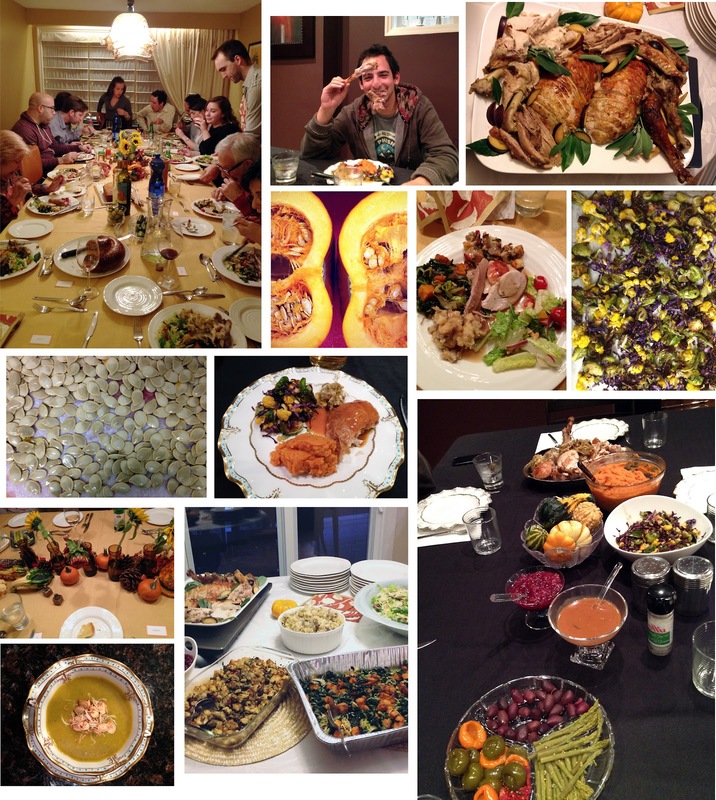 I hope everyone had a delicious holiday over here in Canada. These photos are some highlights of my long and delectable weekend. Check back tomorrow for my recipe for Roasted pumpkin & poblano soup with coconut milk (your welcome to any vegans that stumble over here).